Looking to Grow Your SF Business Online? I provide the following digital marketing services to San Francisco startups, local businesses and corporations to drive revenues. We are experts in the field of Search Engine Optimization (SEO). 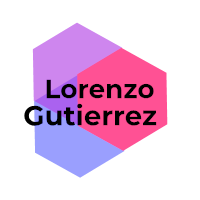 Lorenzo leads the team of technical SEO experts, we choose effective and trending keywords and topics that make the most dramatic increase in your search visibility in search engines like Google. In digital marketing, social media marketing is one of the critical pieces that deal with all the trending updates. We help you to stay updated with the engaging social community to keep your business growing at a faster pace. With PPC you can show your business and start to immediately get leads and sales on Google search or display network. I’m a Google certified partner with expert experience running Google Ad campaigns that make a solid return on your investment. Content is and will always be the king. It is the most powerful way to lure your audience by using catchy phrases and refreshing content at a regular interval of time. We help you develop powerful content that would promote your business website. With amazing website designing and development, we help you to stand out from the crowd of competitive people. Website Designing and development can give you a proper brand identity to support your business or organization. With our expert team, you can easily formulate a conversion optimization strategy for your business and convert your visitors into leads. This proves to be much more cost effective than paying to acquire more traffic. After our initial interview where we get to know your business with a key decision maker in your organization. We strategize a digital marketing plan custom to your business and goals. This includes what channels to focus on, budgeting, content etc. In the digital age that we are in your online reputation is the key to your business and your stand in the market. We make sure you look good across the web when people look up your business on Google or other search engines. With a proper plan and strategic email marketing, you can keep luring new clients and also retain your old customers. It is an easy and very cost-effective method. We also have the ability to setup email workflows to nurture your leads. Having a data-driven digital marketing strategy is no longer an option for your business. It’s a necessity. We use customer data to run customer-focused marketing campaigns, maximize ROI and build a strong foundation for the future. Our analytic data-driven digital marketing strategy is the secret weapon to help you stay ahead of your competition at all times. Start basing your marketing strategy on as much data as possible and watch the profits roll in, non-stop. It is a proven strategy that is specifically designed to attract customers and convert them into prospective leads. The next step goes by researching on business insights and work out plans to set goals and work progress. The final step is to execute the plan to get desirable results. We have monthly and quarterly meetings where the business and digital marketing agendas are discussed with our experts and we work to follow up with the digital strategy. We set clear targets before collecting data. That helps us measure the success or failure of our digital marketing. From there, we think about the marketing efforts that we’ll need to achieve your targets. This will tell us the key performance indicators and the data we’ll need to collect. You interact with your consumers or target audience at various touch points online, right? These include emails, social media, search engines, your website and when they buy. We develop a smart marketing strategy that drives the results you want, collecting data from each of these touch points. We use tools such as Google analytics and other analytics tools to understand your audience’s behavior. These provide answers to questions such as: At what time are they most active on social media? What are they searching for on Google? What questions are they asking on Quora and Reddit or other forums they are on? We also use sales reps reports, keyword research and competitive analysis to understand your audience better. Involving the customer directly helps you to connect with them and collect personalized data. Although all the data collection points above are accurate, they are all numbers. Great marketing is also about invoking emotion. To achieve that, we can involve your customers through surveys and interviews. We can ask your loyal customers or loyal social media fans to hop on a 15-minute interview with us. Another strategy we use is surveys on your site, social media or within the buying process. Once we’ve collected the data, we use it to build an accurate buyer persona. Creating a clear picture of your current or potential customers helps us to shape your marketing. It allows us to concentrate our time and resources on content and platforms that really matter. For example, with data, we may end up creating highly detailed e-books for your audience or video if they prefer that form of content. Keep in mind that your competition is constantly trying to impress and poach your audience. Consumer preferences are also ever-changing. 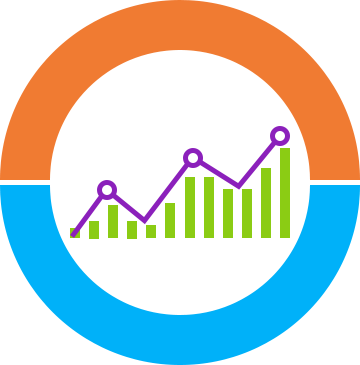 To stay ahead of the game, we keep testing and optimizing your campaigns. Our team uses your marketing data to provide a better customer experience. It’s a sure way to guarantee increased sales and loyal customers. Providing digital marketing services my team and I have worked with numerous companies in the San Francisco Bay Area. We have helped them run successful digital marketing campaigns such as our content marketing services and Google search engine optimization (SEO) services which improved dramatically their online presence and bottom line. We employ the latest and most effective techniques. I am a certified digital marketing consultant available to meet potential clients in person, by phone or over screen share meetings. Whichever works best for you. If your from down south in LA take a look at our Los Angeles digital marketing agency page. San Francisco offers many recreational, and commercial opportunities to residents, businessmen, and visitors. You might have heard about China Town a several times, but did you know that the US has the only three Japan town left in the states. One of those Japan town is located in San Francisco which is the largest and oldest Japan Town. But, if you were more interested in China Town, then it’s your lucky day. San Francisco has the second largest China Town in the US. If you want to experience the Chinese culture and enjoy Chinese food, then do visit this exquisite place. San Francisco has the famous Asian Art Museum where you can have the privilege to witness art pieces from 221 BC. Wine fans can have a good taste of the annual Chronicle Wine Competition, which is held every February. It is the great American Wine competition held in the US. More than fifty film festivals are held in San Francisco every year It is such a fun city to visit if you are a film fan. Golden gate bridge is so unique and famous that it has its own customized color name. The color of the bridge was named “international orange” by the architect. It was initially a color to protect the steal of the bridge, but later on, it was adored by the team of architect and hence the name. Food lover pays attention! San Francisco has more than 3500 restaurants to entertain your taste buds. There are so many different types of restaurants here. You can find original Italian, French and Chinese restaurants in the city. The city reeks of culture and taste. Last but not the least, the people in San Francisco are heartwarming and welcoming. If you ever want to move here, then you have made a right choice. Stop loosing customers to your competition.